No matter how much you love barn doors and shiplap today, will you still love these features in 5 years? As time passes, will those ultra-modern concrete countertops still make you proud or be an embarrassment? When you go to sell your home in 10 years, will your home remodeling project still look relevant or are you going to be calling the contractors again? Trendy is usually where trouble starts in a home remodeling project. The fact of the matter is that anything that is trendy is only popular for a short period of time. 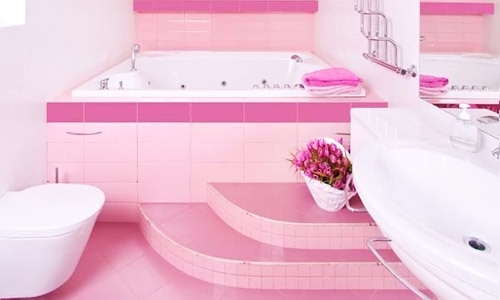 Remember when pink plumbing fixtures were “in”? It might seem laughable now, but at one time people thought they looked good. Trendy style is a slippery slope that can quickly end with a home that you despise living in, cannot afford to sell and couldn’t sell even if you wanted to. Timeless style is the precise opposite of trendy, it’s a look that will stand the test of time. 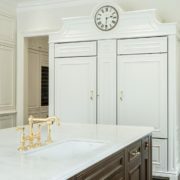 When you incorporate timeless design features your home might not land on the front cover of Better Homes & Gardens, but it’s also not going to be a joke to your friends in five years either. This doesn’t always exclude current trends, for instance ceiling height kitchen cupboards are a timeless design feature that are currently en vogue. 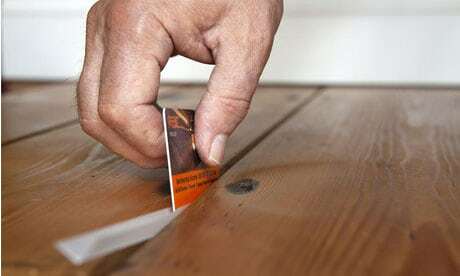 The key is evaluating each design feature, including the trendy ones, to try to identify style that will remain popular. The truth of the matter is that no matter how great something looks, if a trendy feature makes life more difficult it will not last. Let’s consider the current trend of barn doors. 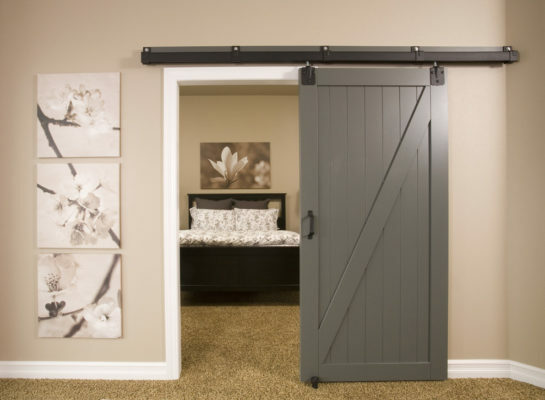 For those not in the know, barn doors are mounted on a wall using a top mount rail that slides using wheels. The doors were designed to allow farmers to control access on larger openings where a hinged door would not be feasible. Is a barn door more functional than a hinged door, in most cases no. There are some rare exceptions, such as entertainment center doors, but for the most part they provide no functional benefit. The exterior mounted nature of barn doors consume a significant amount of wall space while having zero positive impact on quality of living. Despite what the experts on HGTV might tell you, people will get tired of them and eventually move on. Contrast barn doors to ceiling height kitchen cupboards mentioned previously. 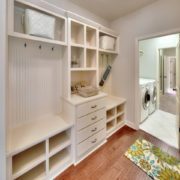 Ceiling height cupboards provide additional storage space, the only sacrifice being less room for decorations. The functional benefit of ceiling height kitchen cupboards means they will have a lasting appeal. Is It More Difficult To Maintain? Nobody likes more work in their home, we all like to make things easier on ourselves. Unfortunately, many trendy styles comes with a hidden cost… Your time. This is easy to overlook when the feature is brand new in a showroom or model home, but what will it be like to actually live with it? An excellent example is the current trend of plank hardwood flooring, in many cases reclaimed from older buildings. These floors add a warm and rustic element to any space that draws inspiration from another era. The visual appearance can lure you in, but have you thought about cleaning these floors? After a few months the gap between the planks will quickly transition from a point of beauty to frustration. Dust and dirt will accumulate between the planks making your cleaning duties far more challenging. In order for style to be timeless, it cannot add more work to a home. Does It Feel Cold or Dark? While this might seem somewhat subjective, it’s really not. A single design feature can alter the entire feel of a home. Trendy style often looks great on the pages of a magazine, but printed pages cannot capture the essence of a room. Have you ever heard somebody say, “I wish my home felt colder.” How about, “I wish my home was more dark and dreary.” I’m guessing probably not, unless you’re friends with the local vampires. Everyone likes a home that feels warm and bright. Concrete countertops might seem like a great idea at first. They look very industrial and modern, giving a unique appearance to any home. From a functional standpoint they are also more durable. If you tally up the functional benefits of concrete countertops you might think they are timeless, until you experience how they feel. Do you want to feel like you live in a factory? Probably not. Granite or quartz might not win every comparison, but they will always beat concrete in creating a warm and inviting environment. Another great example is white woodwork in a home. This design feature is not always the most trendy, but it is certainly timeless. 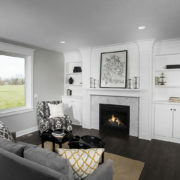 White trim, white cupboards and white built-ins always make a room feel brighter. Contrast this the current trend of dark grey and black trim. Think those dark colors will last the test of time, probably not. Before you choose any style feature, make sure you experience it for yourself. Don’t trust images on the internet or a magazine, find a home to see it for yourself. Does It Cost Significantly More? Trendy style is typically more expensive. The volumes are lower and manufacturers know the clock is ticking before the features fall out of prominence. Is a $1,000 barn door worth adding to your remodel, or would it be better to use that money in other places? 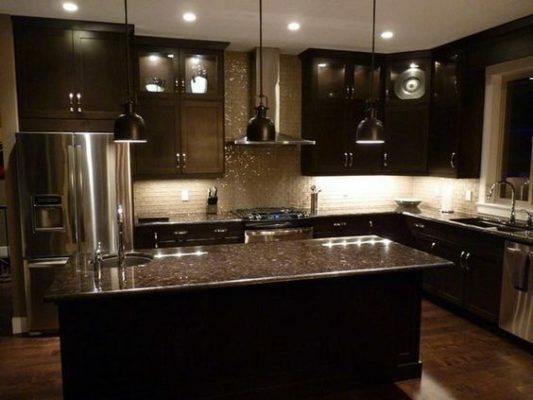 Maybe for better appliances, upgraded cupboards, a new television or to add more square footage? Think carefully about the added cost of incorporating trends and evaluate your alternatives. Ignore the hype and look at the long-term impact (or lack thereof) a style will have on your home. Above all else, make sure you know your vision for the home remodel. Think through the look you’re going for and the feel you’d like for each room. Consider the organizational and functional goals that will make your home more pleasant every day. No matter if you’re doing kitchen remodeling, bathroom remodeling or basement remodeling; having a vision before your project begins is critical. Know what you want before you start selecting the components and contractors that will make your vision come to life. 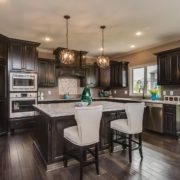 Once you begin examining your remodeling options based on a well-thought vision, you will be able to see trends for what they are and instead make decisions you’ll love for years to come. 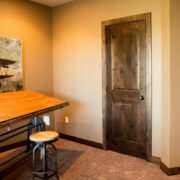 This entry was posted in Home Remodeling, Iowa Remodeling, Remodeling Style. Bookmark the permalink.